Preserving our solid reputation in the industry, we put every effort to live up to our name. 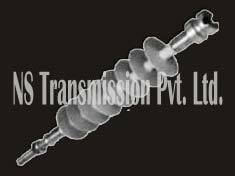 We offer 33KV Polymer Pin Insulator to our prized customers. For making sure the unsurpassed quality, we undergo a meticulous process of quality control. The features such as light weight, safe usage and unmatched quality make it a tempting proposition. Place your order and we will deliver it at your doorstep.